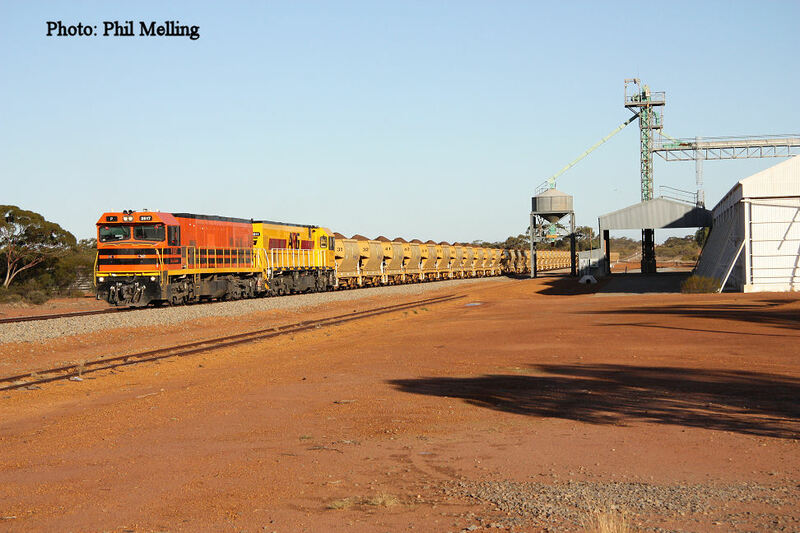 A new train that commenced in 2011 was the Tilley to Geraldton Port Iron ore train for Karara Mining/ SMC. Here we see P2517/ P2511 on a loaded train through Pintharuka on 21 May 2011. 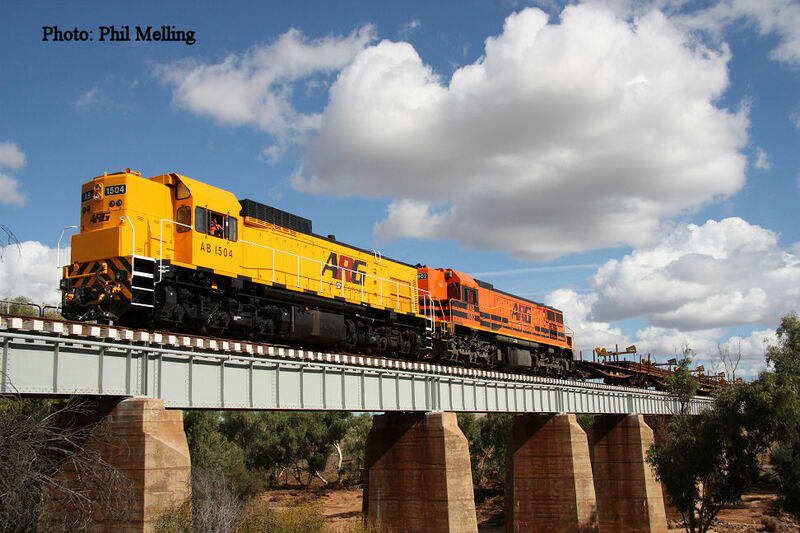 AB1504/ DAZ1902 on a rail train crossing Eradu Bridge in May 2011. 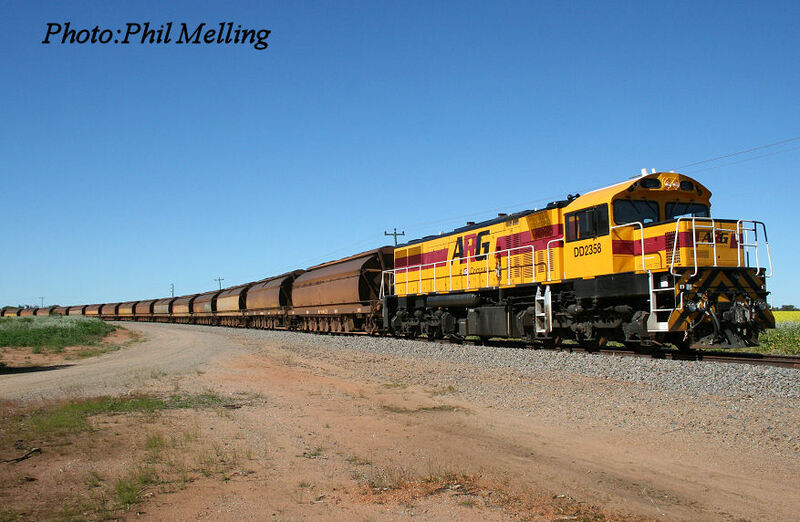 DD2358 with the coal train at Narngulu on 7 August 2008. 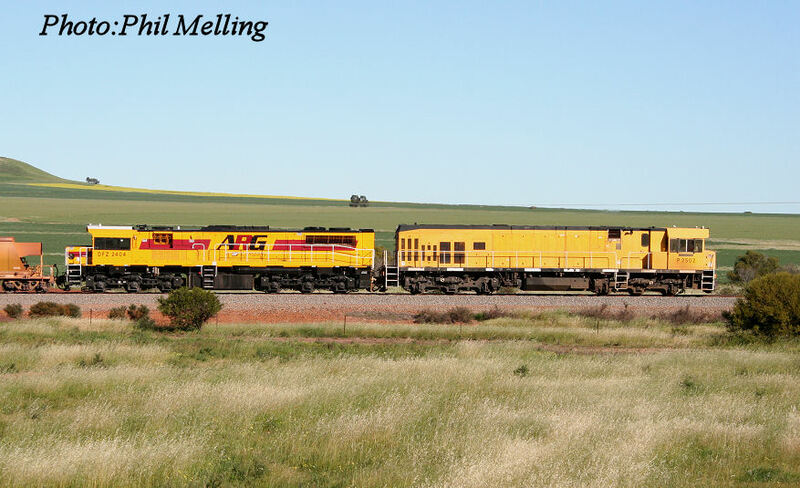 DD2358 was from Queensland Rail ex 2117. P2502/DFZ 2404 haul a loaded iron ore train through Moonyoonooka on 17 August 2008. the DFZ was ex Queensland Rail 2370.